Lorraine L. Lutton was elected to the Board of Directors in 2014 and is a member of the Audit and Nominating and Corporate Governance Committees. Since 2016, Ms. Lutton has served as the President and Chief Executive Officer of Roper St. Francis Health Care, an integrated health system with 3 acute care hospitals in Charleston, South Carolina. Prior to joining Roper St. Francis, Ms. Lutton had been employed by the BayCare Health System since 1992 in various capacities, serving most recently as the President of St. Joseph's Hospital, a 529 bed tertiary acute care facility in Tampa Florida. Ms. Lutton received her bachelor's degree in public health, health policy and administration from the University of North Carolina at Chapel Hill, and her master's degree in business administration from the Anderson Graduate School of Management at UCLA. 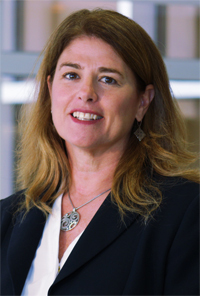 Ms. Lutton is a Fellow of the American College of Healthcare Executives.